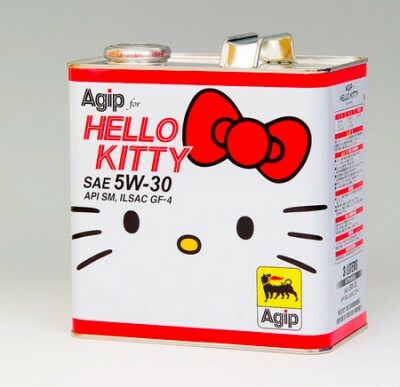 So this one is truly bizarre…and interesting, fuel up your car with AGIP Hello Kitty! Diary event for HKO, blogger alert earn 200 LP’s easily! Taken from the Facebook page! We have a new special event for all HKO fans - share the magic of your day in Hello Kitty Online! In A Day in the Life of Hello Kitty Online we want to know about quests you completed, beautiful places you visited, or the new friends you’ve made! This is a fun way to earn Sanrio Loyalty Points (you can use Loyalty Points to buy cool HKO stuff in the Item Mall!). Just make an entry and get 200 Sanrio LP’s? Here I come! Some of you may be going Ga Ga over this! There were a record 205 nominations for this year’s prize. U.S. President Barack Obama won the Nobel Peace Prize on Friday for his calls to reduce the world’s stockpile of nuclear weapons and working for world peace. The first African American to hold the country’s highest office, Obama has called for disarmament and worked to restart the stalled Middle East peace process since taking office in January. Some say the death of the music icon is like losing a relative. "It’s like my generation’s Elvis passing away," says one man. Mothers recall passing on his dances such as "The Moonwalk" to their children, and one fan says Jackson’s name was one of the first celebrity names she learned as a child. His autopsy was completed, but further tests must be carried out before the cause of death can be determined, a spokesman for the Los Angeles County Coroner said. Craig Harvey said the tests would take four to six weeks, after which "we anticipate being able to close the case and issuing a final cause of death." Among the tests to be carried out, he said, are neuropathology (brain) and pulmonary (lung) tests. Harvey added, "We know that he was taking some prescription medications," but said he was not able to divulge what. The possibility that Jackson may have been taking medication that could have contributed to his death at the age of 50 weighed heavily Friday on a number of people close to the star. Watch coroner’s office discuss Jackson’s death. Jackson’s ex-wife, Lisa Marie Presley, said in an online blog posted Friday that she was not surprised by Thursday’s news. She said she divorced him in January 1996, after less than two years of marriage, because she was "in over my head in trying" to save Jackson "from the inevitable, which is what has just happened." Jackson talked with her about his death during "a deep conversation" 14 years ago about "the circumstances of my father’s death," she wrote, referring to Elvis Presley. The singer collapsed in the bathroom of his Memphis, Tennessee, mansion — Graceland — on August 16, 1977, at the age of 42. While his death was ruled the result of an irregular heartbeat, the autopsy report was sealed amid accusations that abuse of prescription drugs caused the problem. "I promptly tried to deter him from the idea, at which point he just shrugged his shoulders and nodded almost matter of fact as if to let me know, he knew what he knew and that was kind of that." That conversation haunted Presley as she watched television coverage of Jackson’s death Thursday, she said. "I am sitting here watching on the news [as] an ambulance leaves the driveway of his home, the big gates, the crowds outside the gates, the coverage, the crowds outside the hospital, the cause of death and what may have led up to it and the memory of this conversation hit me, as did the unstoppable tears," she wrote. "A predicted ending by him, by loved ones and by me, but what I didn’t predict was how much it was going to hurt when it finally happened." Meanwhile, police — who had spoken Thursday with Dr. Conrad Murray, who was with Jackson when he died — were trying to reach him again Friday. A car that Murray had parked at Jackson’s home was impounded and may contain medications pertinent to the investigation, said Detective Agustin Villanueva of the Los Angeles Police Department. Public records show the impounded car was registered to a Texas woman who is an associate of the cardiologist, who is licensed in California and Texas and also has an office in Las Vegas, Nevada. AEG Live, the promoter of Jackson’s planned tour, said their deal with the singer included a dedicated private physician of his choosing and that Jackson chose Murray, his physician of three years. A source close to the family said Murray spent much of the last two months with Jackson, as he prepared for his upcoming concert series. The doctor is said to be cooperating with officials. He had been preparing for a comeback tour — aimed at extending his legendary career and helping him to pay off hundreds of millions of dollars in debt. Jackson began his professional work at age 5, singing with his brothers, before shooting to superstardom as a solo singer. He had numerous No. 1 hits — the best known being "Thriller," the best-selling album of all time, at an estimated 50 million copies worldwide. After dominating the popular music scene for years, Jackson became reclusive and mired in scandals that included child molestation charges. He reached a settlement with one accuser and was acquitted in another case after a highly publicized trial in Santa Maria, California, in June 2005. Jackson is survived by his three children, Prince Michael I, Paris and Prince Michael II. Condolences and appreciations continued to pour in Thursday from around the world. President Obama said he considered Jackson a "spectacular performer" and expressed his condolences to the Jackson family, the White House said Friday. At a briefing with reporters, White House spokesman Robert Gibbs said he spoke with the president Friday morning about the death of the pop superstar. "He said to me that, obviously, Michael Jackson was a spectacular performer, a music icon. I think everybody remembers hearing his songs, watching him moonwalk on television during Motown’s 25th anniversary." But Gibbs said the president also noted that "aspects of his life were sad and tragic. 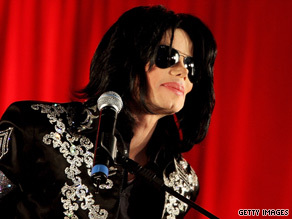 His condolences went out to the Jackson family and to fans that mourned his loss." In a written statement, Jackson’s second ex-wife, Debbie Rowe Jackson, said, "Though Michael is now at peace, the world has lost a beautiful and loving soul. I appreciate the outpouring of support and prayer for Michael, all of his family, me and our children, and hope our privacy can be respected at this difficult time." Which is the symbol of the current movement (hard to miss really) for more democracy and freedom in the recent election fraud case in Iran. So I’ll post my symbol of Green for support of the Iranian “free” people. 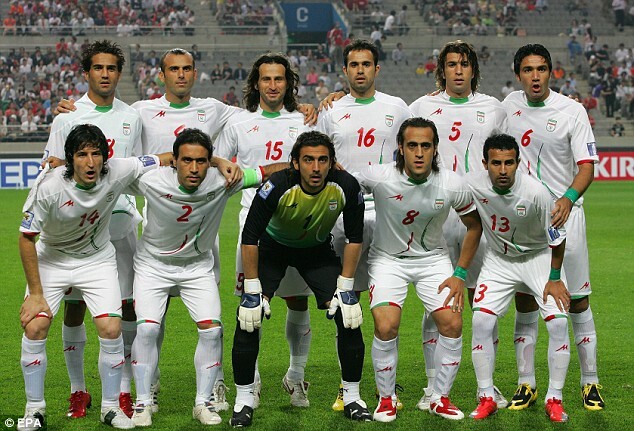 Those green wristbands by the Iranian football team demonstrate another such symbol of solidarity. A record 150,000 people poured into Victoria Park last night to pay homage to those who died in and around Beijing’s Tiananmen Square 20 years ago. The turnout claimed by organizers for the June 4 candlelight vigil would therefore equal the 150,000 who turned up for the first anniversary of the crackdown in 1990. Police, however, put last night’s attendance at 62,800 - the second highest turnout, as they estimated the 1990 figure at 80,000. By contrast, only about 300 attended a similar ceremony in neighboring Macau last night. Szeto Wah, chairman of the Hong Kong Alliance in Support of Patriotic Democratic Movements of China which organized the event, said he was more than happy as the attendance exceeded all expectations. Because of the huge turnout, the 8pm start of the vigil was put back 30 minutes since all six football fields were packed with more people streaming in. Around 8.20pm, the organizer opened a basketball court and an adjoining lawn to accommodate the overflow. Veteran democrat Martin Lee Chu- ming said he was proud of those who had turned up. "Those who showed up tonight represent the views of the Chinese populations all over the world. It also shows young people have not forgotten June 4," Lee said. out. The crowd then sang and lit candles while calling for a vindication of those who lost their lives. One of the highlights of the vigil was the broadcast of an audio clip recorded by the late premier Zhao Ziyang while he was under house arrest. In it, Zhao reaffirmed claims the students at Tiananmen Square in 1989 had been law abiding. Also present was Xiong Yan, the first Tiananmen student leader to take part in the Alliance’s activity in Hong Kong. 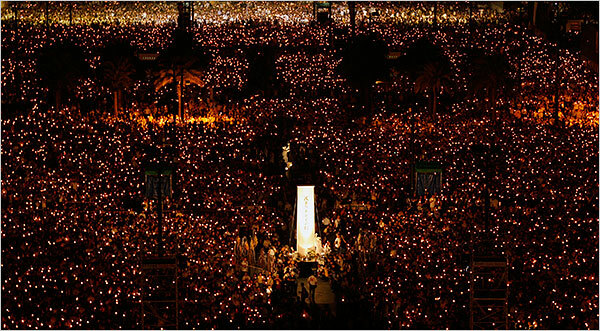 "Hong Kong is the pride of China and even the whole world because the Hong Kong people uphold freedom. The world will treasure Hong Kong and her people," said Xiong, adding he was happy to be back on Chinese soil. Before the vigil ended at 10pm, legislator Lee Cheuk-yan called on all people to join the upcoming July 1 rally. According to a declaration at the vigil, "June 4 was the dark age of contemporary Chinese history. We again light the candle as we have lit it for the past 20 years." Though the declaration does not accuse Chief Executive Donald Tsang Yam-kuen by name, it condemns those who "buried their conscience." The declaration read: "Regrettably, 20 years on, people who have buried their conscience express mistaken ideas, saying that 20 years of successful development will help people to arrive at an `objective evaluation’ of June 4. Does this mean that economic development can legalize and legitimize the June 4 massacre? "Does it mean Hong Kong should cover up the crime of those in power for the sake of economic interests? Let us hold our candles, hold our dignity and conscience high, to light up Hong Kong, light up China, and not to allow ignorant leaders riding on the heads of the people to continue their arrogant ways. Chief Executive Donald Tsang Yam-kuen, can you hear us?" Tsang’s remarks last month sparked public outrage as he glossed over the June 4 crackdown by speaking of the mainland’s economic development over the years. He also said his views represented Hong Kong people in general. Among those who showed up were Lasse Markus Galschiot and Kasper Markus, sons of the Danish sculptor Jens Galschiot who made the Pillar of Shame to commemorate the 1989 crackdown. Others said they attended the vigil to show Tsang he could not speak for them. So this is really interesting, Kitty is 35 years old and celebrating it in style, I saw some of the videos and…well obviously I had to share it with everyone! Taken straight from the blog! So here we go, Happy Birthday soon to Kitty for being a cool 35 years of wonderful cute age! Some nice special items as well…like this special edition item below, I wonder if anyone can actually get them outside of Japan? A techno looking black shirt…Hello Kitty meets Gundam? I picked out a shirt idea based on the recent HKO event but then I found this! A shirt that looks very…robot like.